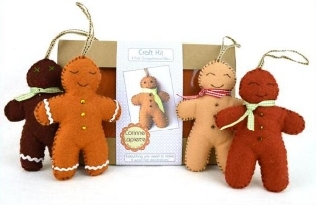 Everything you need to make 4 gingerbread men decorations, packed in a giftbox. Suitable for age 7 and up. The kit includes wool-mix felt, fabric, stuffing, thread and a needle.